BrightPay provides a quick and seamless import utility to bring across your company and employee details from 12Pay payroll software. To begin the import, simply click on the ‘Import Employer’ button at the bottom of the ‘Open Employer’ screen and select 'Import from 12Pay...'. Browse to the location of your 12Pay company file. The file to select will normally be titled 'yourcompanyname.pay'. Click 'Open' to begin the import process. Once the import process is completed, simply open your new BrightPay company file to commence payroll. 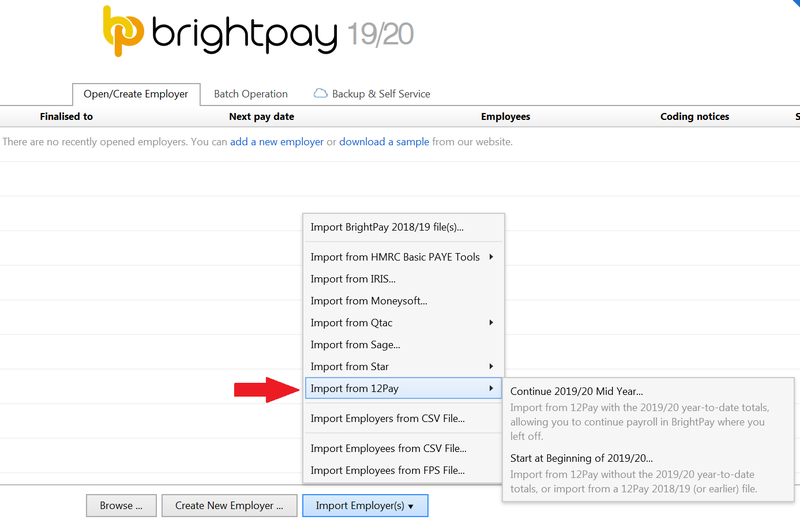 Please note: if you selected the option 'Continue Mid Year', BrightPay will automatically import your employees' mid year totals to date from the 12Pay file selected at time of import. These can be viewed in each employee's 'Mid Year Totals' within each employee's record. Following the import, further employee information can be manually entered within 'Employees', if required. It is also strongly recommended that all employee details are reviewed before processing any payroll to ensure information imported in is correct and applicable for the tax year in question e.g. employee tax codes etc. 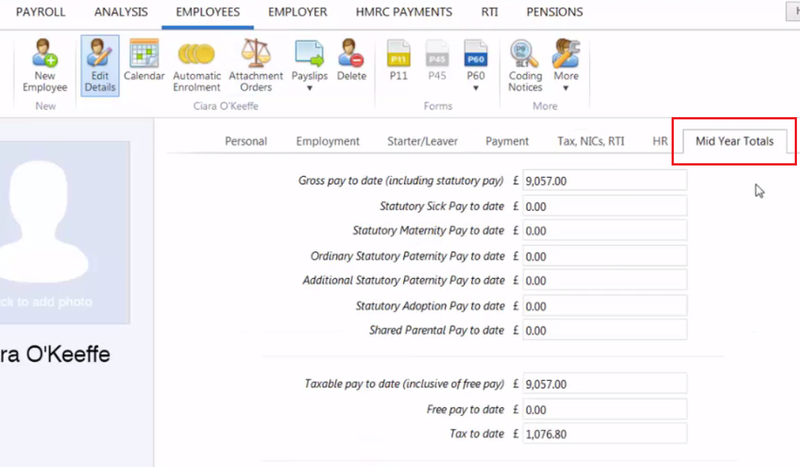 After reviewing your employee information, simply click the 'Payroll' tab to commence processing payroll.